I read this article and found it very interesting, thought it might be something for you. 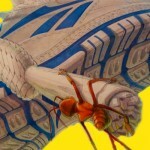 The article is called How Ants Solve the Inequality Problem and is located at http://evonomics.com/the-answer-is-under-your-foots-how-ants-solve-inequality/. A forager ant emerges from atop the colony’s hill. In its place, we might imagine stopping to scan the dusty landscape for food locations. The ant has no time for that. What it does next can help us understand broad patterns that emerge from our own social interaction. One of those patterns, an especially important one these days, is inequality. Economics has a bit of a lock on the question of inequality. This is too bad. Ants, and science in general, have a lot to say about it. An ant colony is a self-organizing system. These arise naturally, without deliberate construction or design. Cells are another example. So are forest ecosystems, consciousness and Twitter. Of course, the list also includes economies. Self-organizing systems have something in common. They contain interaction. The system’s parts exchange information with one another. Out of that information exchange, all sorts of complex patterns emerge. British developmental biologist Jamie Davies refers to this exchange as feedback. 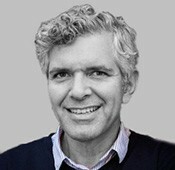 He argues that cells function because they trade a cacophony of signals about themselves and their environment. These signals allow the cells to coordinate in real time, and therefore to adapt to change in a way that a fixed blueprint could never allow. Davies argues the feedback loop, not the double helix, is central to being alive. Inequality happens to be a kind of feedback loop found in self-organizing systems. It is a specific type, called a positive feedback loop. Positive does not mean we like it. It means the loop’s behavior is self-reinforcing: it will run on and on until something intervenes. Runaway loops are not kind to a system’s survival. To prevent them, they evolve any number of brakes. Some usually kick in sooner and at a lower cost, and some are a more damaging or doubtful last resort, like a truck ramp on a steep mountain highway. Today, inequality happens to be at a historical extreme. The positive feedback loop is starting to look like it lost its brakes. This is something worth paying attention to, and not just out of fairness. The health of our economic complex system is at stake. The reason is taking that truck ramp may not be a pleasant experience at all. To understand why, we first return to our forager ant. The ant scrambles down the hill in no particular direction. His senses are trained not on the landscape but on the ground. After a bit, he finds what he is looking for: a pheromone deposited by returning foragers. The pheromone is like a blinking neon road sign. Helpfully, it says, “food this way”. Ants are social animals. Their social interaction is more limited than ours, but still complex. Millions of ants live together in colonies. They cooperate with each other and coordinate their activities. As a result, food goes where it is needed, guards show up to repel intruders, and nurses give infants care. Put that way, the colony sounds a lot like our economy. In fact, both share an important feature. It has to do with the way ants exchange information. That string is a compressed version of the first one. The pheromone trail cuts the amount of information an ant needs from his environment to survive. Less searching creates a bigger surplus back to the soldier and nursery ants, and they in turn produce more ants to help search and produce yet more surplus. Information compression makes the colony possible. It explains why ants are the humans of the insect world: they are a small percentage of species, but account for over half the body mass. Human economic coordination is also complex. Our global economy requires billions to cooperate in the production of millions of products. Fortunately, these producers need only a small set of information to figure out what to do: market prices. If prices are rising, the producer makes more; if they are falling, they make less. Our own economic self-organization emerges from this simple adaptation for compressing information. In that sense, we are much like the ants. Humans, though, are obviously different from ants, and that complicates matters. Ants are genetically hard-wired to cooperate. Evolutionary biologist E.O. Wilson calls them angelic robots. We have more choice in the matter. Our interest is to accumulate wealth, even at the expense of others. If there is a way to game the information compression mechanism of market prices, we will try to find it. This sets up, as Wilson points out, an inherent conflict in human existence. There are two sides to the conflict. On one is our ability to consciously predict and adapt in pursuit of our self-interest. The combination of greed and human ingenuity is a powerful force. On the other side is our set of social adaptations, ones that help us to coordinate activities. These require that we pursue the collective interest more or less unconsciously. Most of us are unaware of how our actions lead to self-organizing behavior. Few wake up and say, “Today’s a day for furthering our social adaptation.” Collective behavior just emerges as a result of millions of interactions. This puts a heavy burden on the system’s inherent tendencies. Broad cooperation is a must in a market price system. If too many keep winning at the expense of others, the losers may choose to opt out. This means the system, to persist, has to produce reasonably fair outcomes over long periods. Fortunately, market prices tilt towards fairness (although it might not seem so!). The tilt is rooted in a concept familiar to any finance undergraduate: the Efficient Markets Hypothesis. Prices are transparent and accessible. Whether you are rich or poor, the coordinating signal is the same. Think of a crowd of New Yorkers assembled at a cross walk. Some are rich investment bankers, some are on the way to a minimum wage job. It does not make a difference. When the walk symbol lights, they all receive the same signal at the same time. The key, though, is that fairness is just a tilt, a tendency, of the system. Think of fairness as a pot of water and inequality as steam. The market price system “tends towards” being water within a broad range of temperatures. At the limit of this range, two outcomes are in competition: water and steam. A slight change in temperature can make the water disappear. This brings us back full circle to the positive feedback loop. It happens that the fairness tilt can shift into a positive feedback loop of inequality. The loop does not result from our greed, luck or differing ability. These are ever-present in the “water”, and they contribute to an “acceptable” level of inequality at all times. That does not mean, however, that they are responsible for the “phase shift” to steam. Something else has to change to create that shift. The question is, what is it about market price information compression that can produce, naturally, an inequality feedback loop? Network scientist Laszio Barabasi tells us that randomly connected networks generate unequal distributions. That is, a small percentage of the hubs receive most of the connections. Twitter is a great example. Kim Kardashian’s big Twitter following sends a signal to other members: “she’s worth it to follow”. The more members follow her, the more her value to potential followers increases. The rest of us are left to tweet in near obscurity regardless of our tweeting skill. In other words, Twitter inequality results not from differing tweet ability but from another phenomena. Barabasi calls it preferential attachment. It occurs in systems as diverse as how proteins attach in cells and how people attach to cities. Followers beget followers. The rich have access to more opportunities to build wealth, and so get richer. Preferential attachment is a type of positive feedback loop. The question Barabasi poses about this loop is central to our understanding of inequality. “Is preferential attachment rooted in pure chance or in some form of optimization”? He tells us this question is still a matter of debate amongst scientists, but that the debate is starting to tip in favor of “by chance”. “By chance” means questions of “fairness”, “skill” and “greed” are misplaced. Inequality just happens. It is a phase, an emergent property. This is not to wipe away fairness as a human value. Just the opposite; some of us want to achieve fairness. We can best do this by stripping inequality of its values baggage and laying bare its underlying dynamic. That way, perhaps, we can use our agency to tweak the system, bring it back to its fairer tendency. In the same way, our market price information compression mechanism needs to have “brakes” in order to stem inequality and promote cooperation. If it did not evolve those brakes, it would eventually disappear as people exited the system. The problem, as we mentioned above, is that some brakes can kick in soon and at little cost, and some are like the truck off ramp, a risky last resort that the system may not survive. Our brake pedal, the most convenient and least disruptive brake, is economic competition. Preferential attachment sparks our self-interest. We may not aspire to be Kim Kardashian, but we do pay attention to success. The most basic way to bend it in our direction is to mimic the strategy that produced it. Mimicry is also a way to respond to non-price signals. When someone is looking at the same prices we are but having more success, we can just forget the prices and copy their actions. Some amount of inequality is always with us. Levels are less important than changes. Changes, particularly ones that appear to snowball, are a sign that a positive feedback loop is at work. This looks to be the case today. It means our competition brake pedal failed. Something changed recently to damage it. Corporate profits are at peak levels to GDP. This means the level of corporate competition is at trough. 1000-page legislative bills help keep mimicry at bay since new entrants lack the armies of lobbyists necessary to navigate them. The financial crisis harmed new entrants’ access to financing, while the Federal Reserve’s zero-rate response allowed large firms to borrow for next to nothing. Even where corporate mimicry has increased, it has reduced competition. Money managers reward CEO’s that buy back shares rather than expand. As all firms mimic each other in pulling back from expansion, they step on each others toes less often. There are also recent barriers to individual economic competition. Most are aware that CEO’s make much more than line workers. Less obvious is that their pay is now multiples of their immediate subordinates’. These capable, ambitious executives would gladly take the CEO’s job for much less money. Why don’t corporate boards ask them? One reason, again, is mimicry. Board members themselves earn more money than ever. To arrive in the Boardroom and stay there, they mimic the behavior of those around them and acquiesce to out-sized CEO pay. Competition also affects the other half of the equation: worker pay. Opening up India and China’s vast labor pools has helped keep wages low. We should not overstate its contribution, though. Those country’s workers compete with our manufacturing labor. Manufacturing is less than 15% of GDP. That leaves depressed service wages unexplained. Again, corporate competition is the more likely culprit. Less competition means firms cut costs without passing the savings on to customers, most of who are workers. If firms competed more, real wages (wages adjusted for lower prices) would be higher. Our inequality parking brake is politics, and competition affects it too. Democratic politics evolved to reduce inequality when it threatens cooperation. Similar to market prices, democratic votes compress vast amounts of information about preferences. All politicians need to know is if inequality will cost them the majority vote in an election. They then compete for votes in part by promising to contain it. The problem is that political competition can also falter. When it does, politicians have less incentive to promise fair outcomes. Voters end up having to choose between candidates that differ little in their inequality commitments. Something like this is happening today. It is also related to the lack of corporate competition described above. Corporations have more profits with which to buy influence. Politicians see that corporate campaign money helps win elections, and they mimic the behavior of successful pols that take that money. Again, mimicry results in less competition rather than more. Our inequality last-resort brake, the dangerous truck ramp, is a financial crisis. Most unequal wealth is stored in the form of financial assets. Those assets crash periodically, lessening the preferential attachment of the wealthy and reducing inequality. Ecologist C.S. Hollings describes this same dynamic in forests. As these ecosystems mature, the best-adapted trees thrive. Stability favors them. They enjoy preferential attachment, and they gain resources at the expense of others. When a disruption hits, they are also the least adaptable to change. Because they are so dominant, their failure reverberates through the forest, even causing its complete failure. Out of this death emerges a new forest, a more dynamic one with a fresh set of adaptations and a level playing field. Then, the process starts all over again. Hollings’ “death/rebirth” ecological dynamic sounds very Schumpeterian and disruptive. We would rather see financial crises avoided and the truck ramp unused. The problem is that promoting stability leaves the inequality feedback loop intact. This is what happened in 2008, when firms used their political clout to ensure that bailouts would keep the system from crashing. The inequality loop’s momentum means we may need another, perhaps worse, crisis to stop it. This would be disruptive not only of the economy but also our political process. Populist parties are already gaining votes after the last crisis, and a second one might fuel the popularity of the more extreme ones. Better to act to increase competition now than to risk that outcome. This entry was posted in Inequality. Bookmark the permalink.